After writing my review of the new Toyota Hilux 2016 as you can read here, now it’s time to share my thoughts on what I call the contender for the ‘pick-up truck’ I MIGHT buy, which is the Nissan Navara NP300. 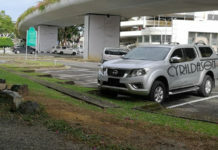 Actually, I test drove the Navara before the Hilux 2016, but since the Navara NP300 has been in the Malaysian market since late 2015, it was a strategic (and SEO move) to write about the newer Hilux 2016 which was launched just recently. 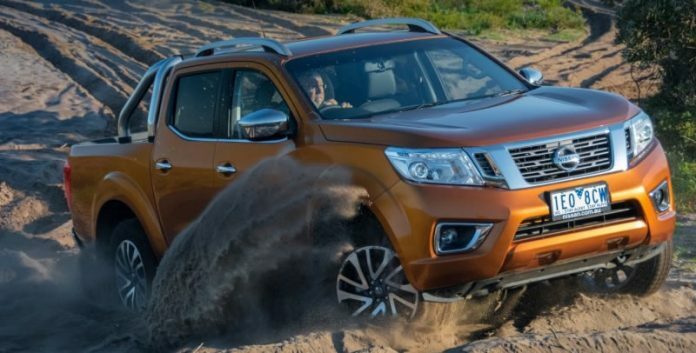 Anyway, like my previous review, this is probably one of the few, non-professional reviews of the Nissan Navara NP300, so do spare me the nasty comments when it comes to technicalities. 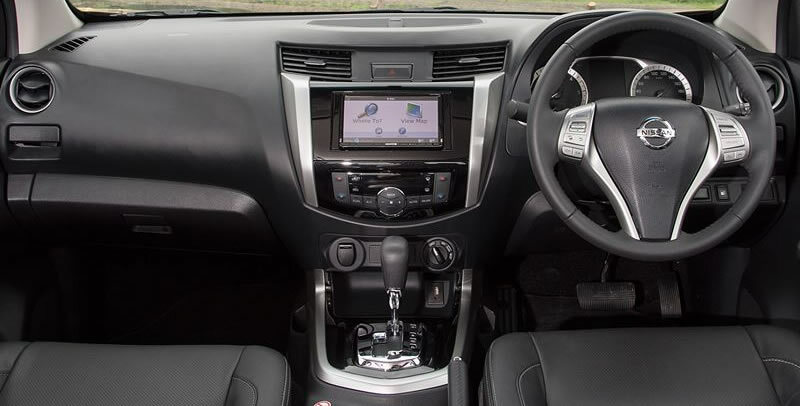 Also like the Hilux 2016 review, I’d just talk about four things, the interior, the exterior, the driving comfort and finally the price – all done in layman’s terms. p/s Gambar I ngambik dari website Nissan ajak sebab kacak agik gambar dak ya. My love for the interiors of the Navara NP300 has a lot to do with the nice looking audio/navigation system. 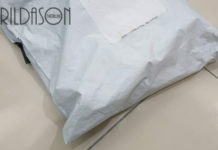 The 5″ multimedia display looks good and modern, and it looks 5-inch with buttons arranged nicely for easy use. The multicoloured display does make the multimedia system look very nice. The instrument meter however looks complicated, and a little bit old fashioned for my liking. It also had so many information and wordings I felt I would need to stop by the road side to read it. The dashboard looks good, but I would easily vote the Hilux 2016 as having the better dashboard specifically because the Hilux G variant optimizes space more than the Navara NP300 (It’s really because of the cooler section they have above the glove compartment). There’s plenty of room in the Navara NP300, and there’s enough cup holders, and USB ports for everyone. In short, the interior looks neat and nice. The Navara NP300 looks really nice on the eye. All variants have a rear spoiler, and the highest variant, the VL, comes with a a nice 18″ alloy rims and roof rails which changes the pick-up look entirely. I particularly love the curves for the rear door which I think is a nice touch. It is rather unfortunate that the cheaper variants only come with the small 16″ alloy rim, and also do away with the roof rails which just adds to the look. Like many say, the Navara NP300 has the most ‘car like’ driving experience for a pick-up truck, and I do agree with this. Driving around town was enjoyable and the bumps were minimal although still very much felt. A friend seated at the rear seat said the ride was not bumpy at all, and compared it with his experience in a Hilux. However, the roar of the engine, which unfortunately could be heard inside the cabin at times, made the pick-up feel sluggish and under powered. Nonetheless, I feel this might be something one could neglect due to the fact this was my first drive in a pick-up truck, and I was still not ‘feeling it’. I will return to another Nissan showroom soon to get a better feel of the drive, and update you all here later on. As the Navara NP300 was launched last year, several new pick-up models have emerged in the market. 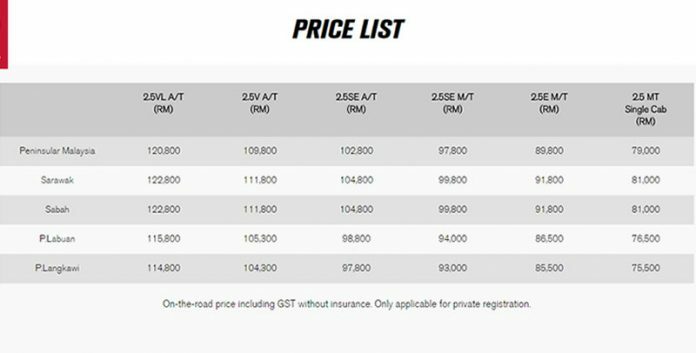 Although probably considered expensive by some, the price of the Navara NP300 is now considered mid-range due to the high price of the new Hilux 2016, which is still below the highest variant (VL) of Navara NP300 which comes at RM125,800 in Sarawak (with Insurance and road tax). The lower variants are cheaper by almost RM10,000 as they shake off several accessories such as the roof rail and the nice 18″ rims. However, the Nissan dealer I talked with said I can add in any of these accessories into the cheaper variants as long as I was willing to pay the top up cost. 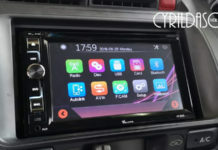 The accessories are really exorbitant in prices with the 5″ multimedia accessories priced at RM4K, and the sports bar and cover coming in a a whopping RM8K! The multilink suspension made the Navara NP300 a semi-SUV, and this has made it become one of the best city driven pick-ups to date. Due to this suspension, driving the Navara feels car like, and it is enjoyable. 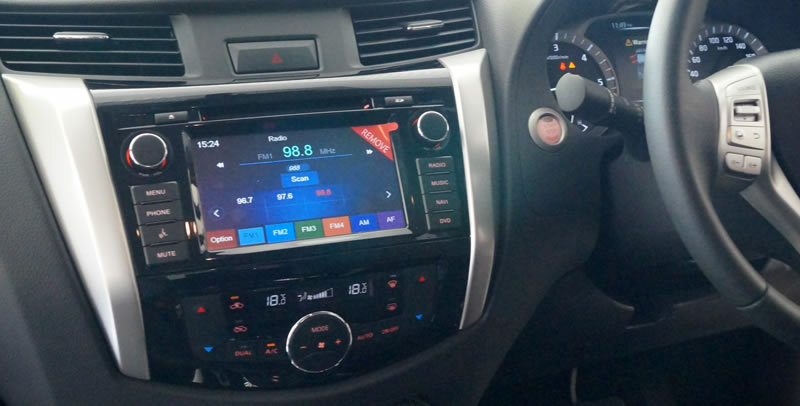 The interior of the Navara NP300 also looks great, and the multicolored display on the touch screen multimedia display gives that modern feel of technology. For those seated at the rear seat, the less bumpy ride is a huge difference from other pick-ups, and there is a dedicated aircond vent placed at the rear to keep those there cool. 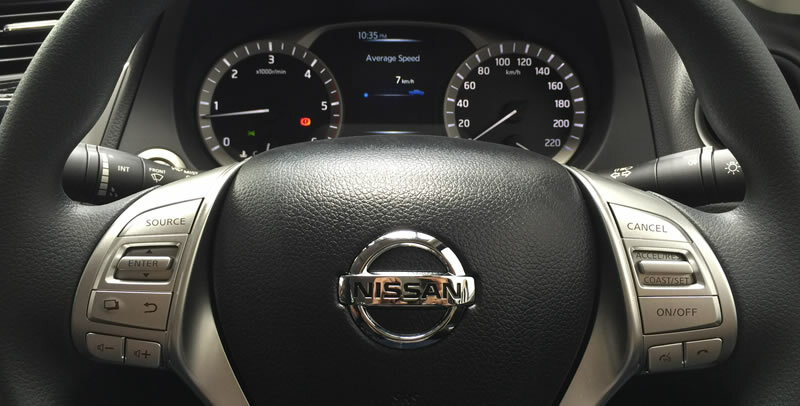 In short, the Navara NP300 is a very comfortable ride. The exterior looks great even without the overpriced accessories and the rear spoiler makes the Navara NP300 look really sporty. For the highest variant, the roof rails and sports rim make the pick-up simply gorgeous. 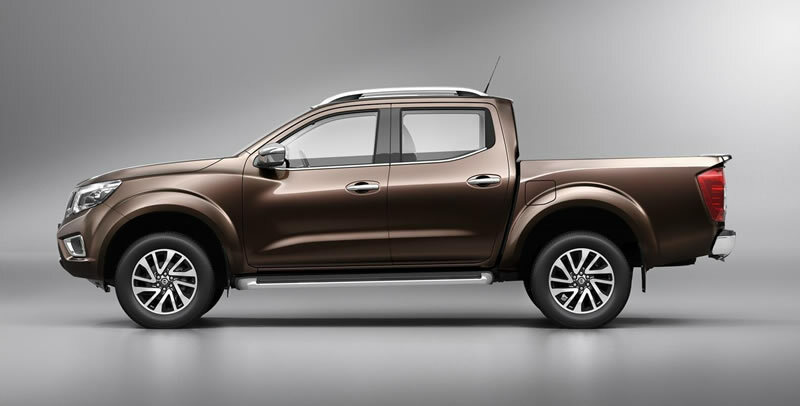 Adding any accessories to the Navara NP300 would burn anyone’s pocket as they are expensive! The instrument meter looks old and complicated and there seems to be some space wasted in how the dashboard was arranged. The Start Button is awkwardly located (try finding it in the photo above), and compared to the Hilux 2016, the safety features seem lacking. If you go for the lower end variants, your rim drops to 16″ and looks plain, while you also have to do away with the nice roof rail which actually enhances the Navara’s exterior. 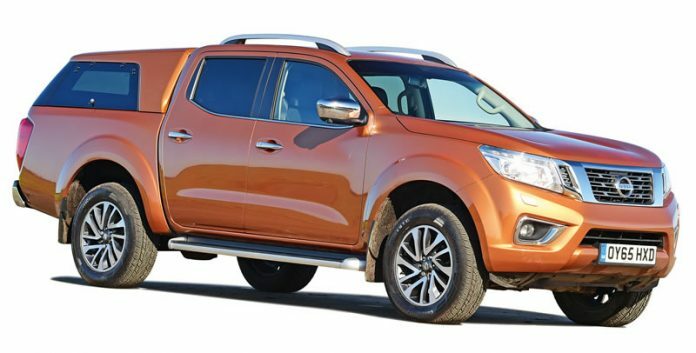 Like the Hilux, the fuel consumption of the Navara NP300 remains a huge question mark although several sites did say the highest variant sips 9.1L/100KM. 1WILL I BUY THE NAVARA NP300? This is the RM125,800 question. 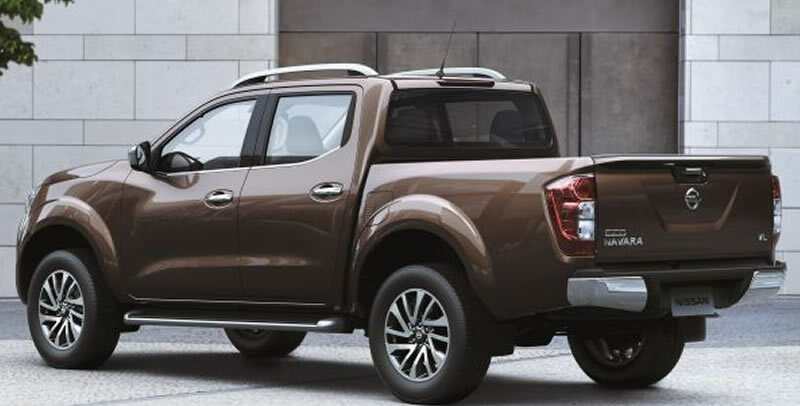 With RM10,000 seperating the best variant (Navara NP300 VL) from the second best variant (Navara NP300 V), it is rather tempting to go for the best because the additions, such as the 18″ Sports Rim, the roof rails, the leather seats and the LED lights do not come cheap, and hence making it a lot of sense to juat buy the highest end variant. However, it all comes down to affordability as paying RM1,479/month for a 9 year loan with 3% interest rate is really steep. To go for a lower variant would leave me wanting more, so perhaps for now, I’d put it on a KIV basis. A great pick-up if you get the VL (highest end variant). The raves when moving forward might be a slight thing to be concerned about nonetheless as it does show under-powered-ness. Previous articleIs GSC’s D-BOX Seats worth the price?